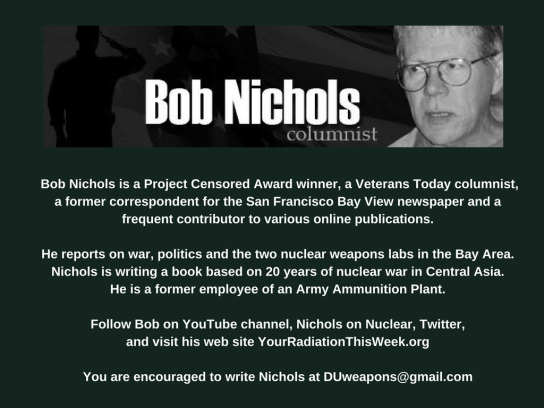 You can’t see the Tables of Poisoned American Cities on the Bob Nichols Veterans Today site. Apparently another little Tech Gremlin issue!?! Transcend Censorship, Subscribe and share. You know why. Million A Week Club – YRTW 18 by Bob Nichols! 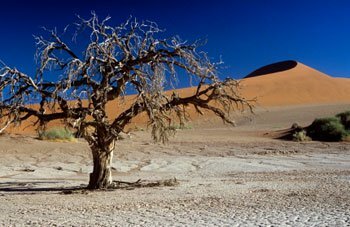 Facing a Dying Nation! Oh No! Colorado Springs Crashes thru 30 Million Radiation Counts this year. 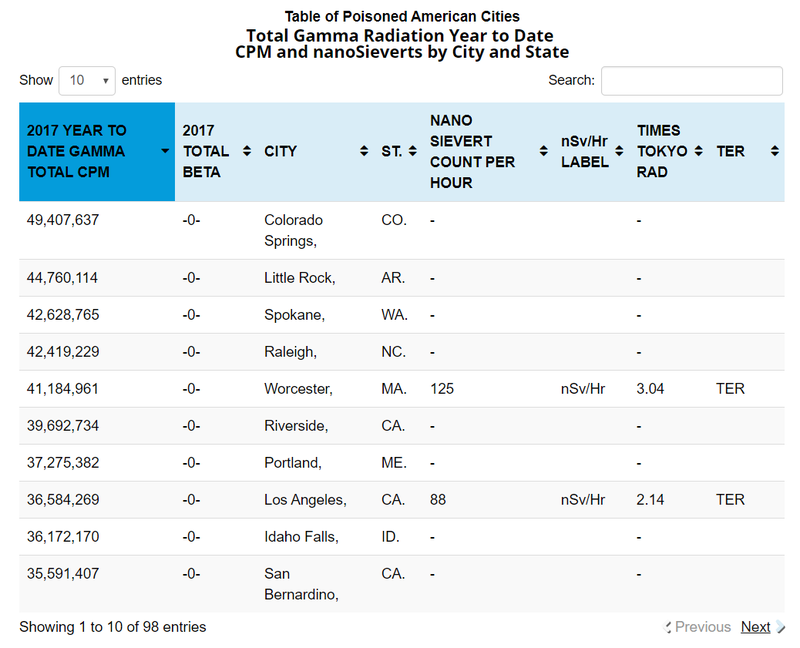 See the sortable TABLE OF POISONED AMERICAN CITIES at the Bob Nichols Veterans Today column. AND SHARE WITH YOUR SMART FRIENDS….. This is a public service message, shared in compliance with Bob Nichols copyright permissions, brought to you and yours via Lucy Occupy and Friends. Read, Watch, Learn, Subscribe and Share because We Are The Media Now. GOOGLE IT…. MILLION A WEEK CLUB – Your Rad This Week because all links cannot be shared on certain social media platforms. Work around it. Be creative. Be the Media We Wish To See.